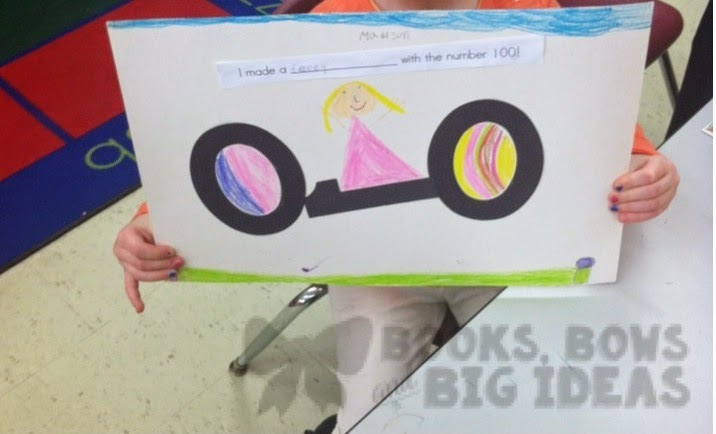 Books, Bows and Big Ideas: Our 100th Day of Kindergarten! 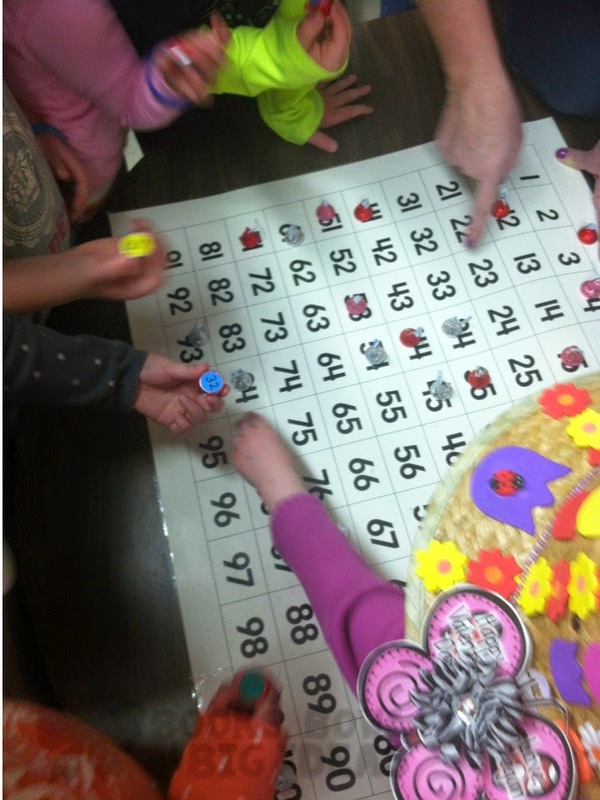 Friday we celebrated our 100th day of school! It was a great day, we did a ton of fun activities! 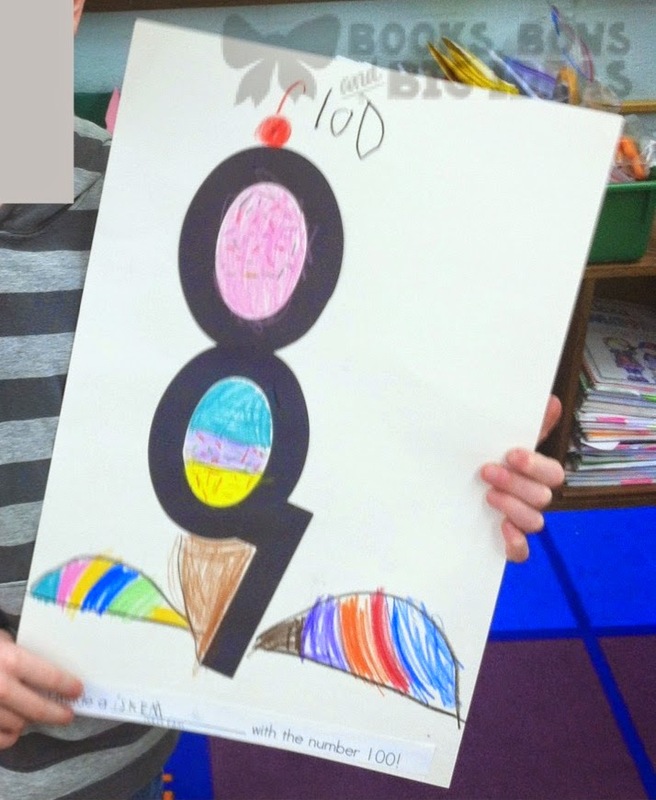 We have each child make a 100th day hat at home with their families. 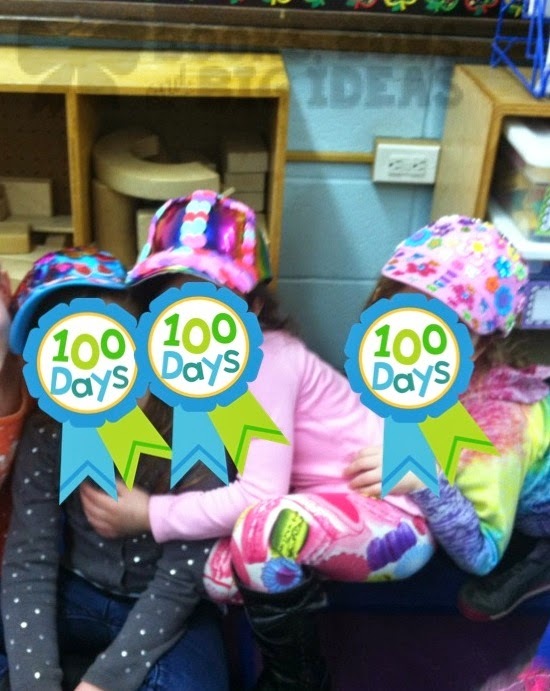 They all wear the hats on the 100th day of school. 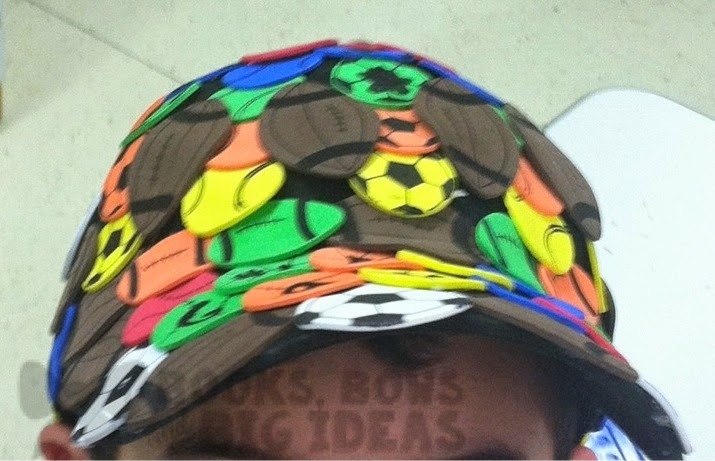 Each hat has 100 items on it. They got really creative this year, they were all adorable. 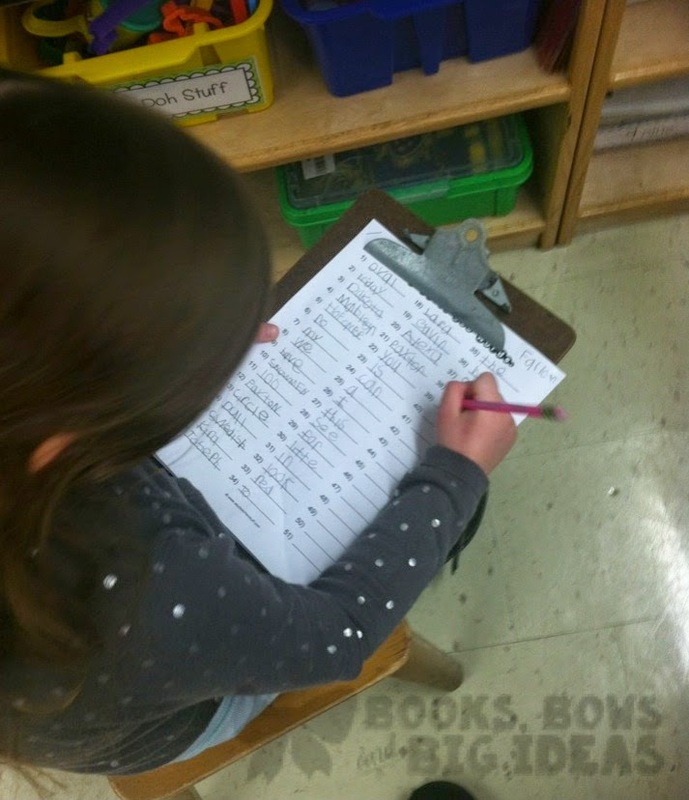 First we did a read and write the room for 100 words. The kids had a great time searching for words around the room. They were shocked that there were so many words around the room! 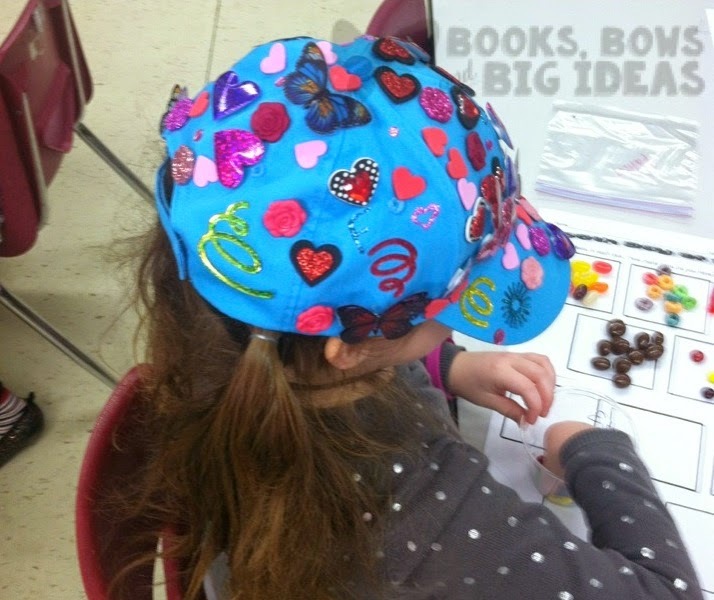 We also did a 100th day trail mix. 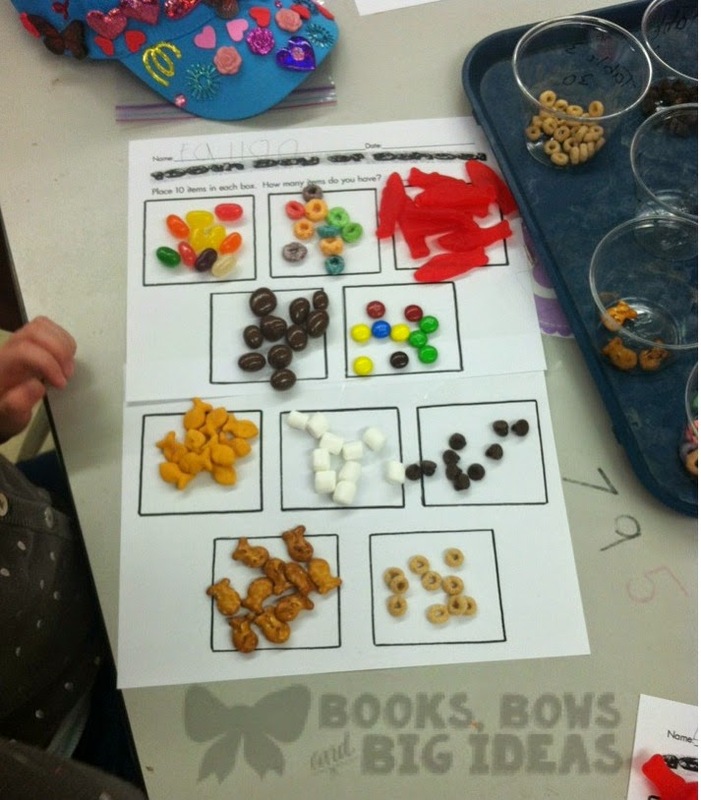 We had 10 different snacks and the children each sorted out 10 of each snack for their mix. The kids loved this and so did we! This was our first time making the trail mix and we will definitely be continuing this in the future. Usually we make 100 pancakes on the 100th day and the kids try to eat 100 pancakes. 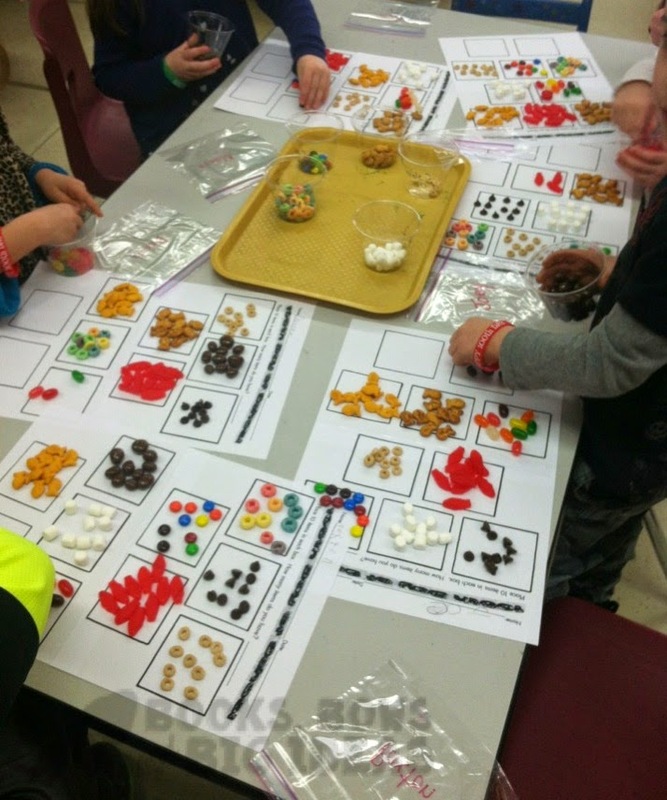 This was a lot of fun but we are not allowed to cook at school anymore, the trail mix was a great substitute though! 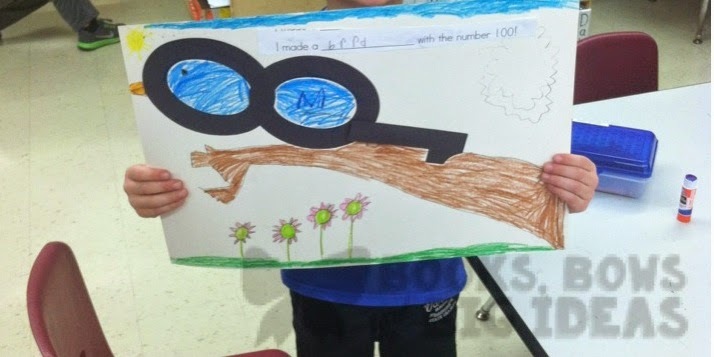 We did a project with the numbers 1 0 0. We cut out the numbers on black construction paper with the die cut machine. 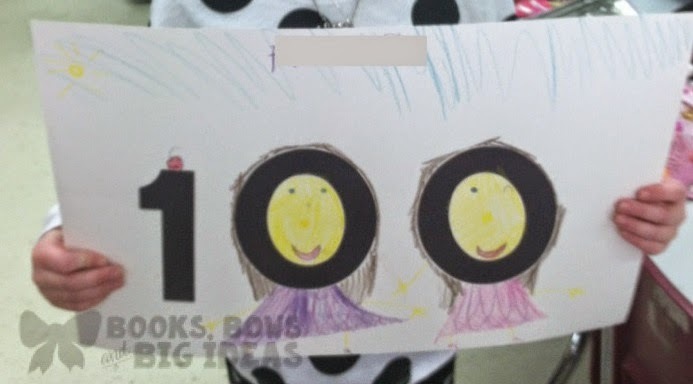 Each child got a 1, and two 0s. 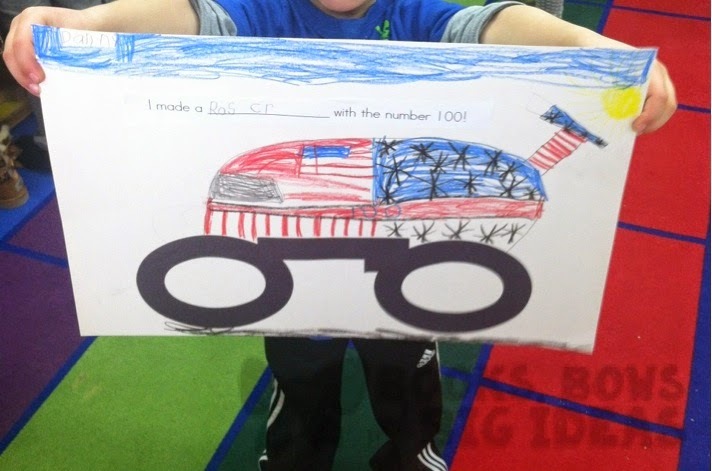 They got creative and used the numbers to create anything they could think of. I made a bunch of samples and showed them, which I kind-of wish I didn't do. Almost all of our kids chose to do things that I did in my samples, although some of them did get really creative. I got this idea from Cara Carroll, view her post here. This little cutie was SO proud of his race car. He made me take 3 different pictures, after adding a new detail each time! This little guy is always super creative. 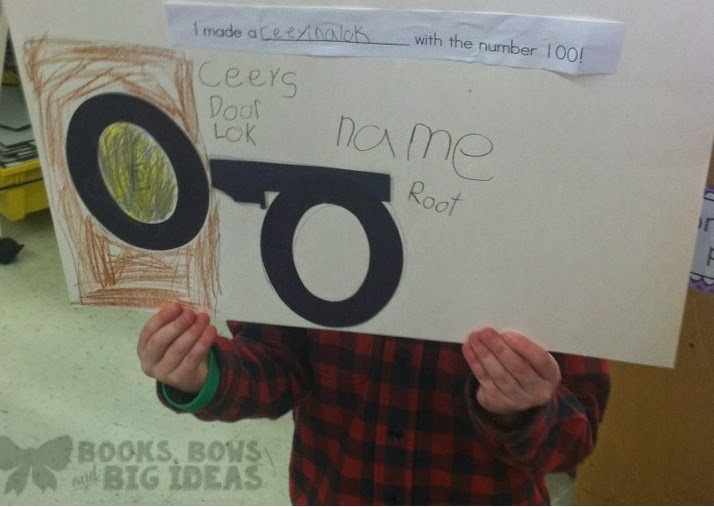 His idea was "a key going into a lock". I would have never thought of doing that! We also make $100 bills for each kid. 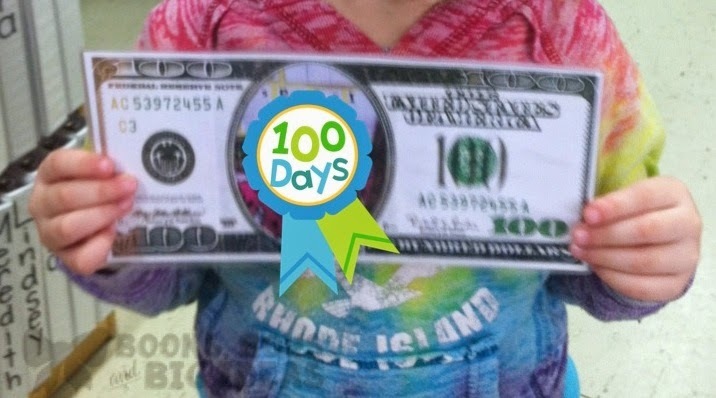 Several years ago, my mom found a $100 bill cut out in a Sleepy's ad, we have been using the same one every year since then. I printed pictures of the kids on the computer, glued the picture between the front and back of the bill and laminated them. We hid them around the room and the kids found their own bill. They loved this and had a great time! They were so excited to find theirs! 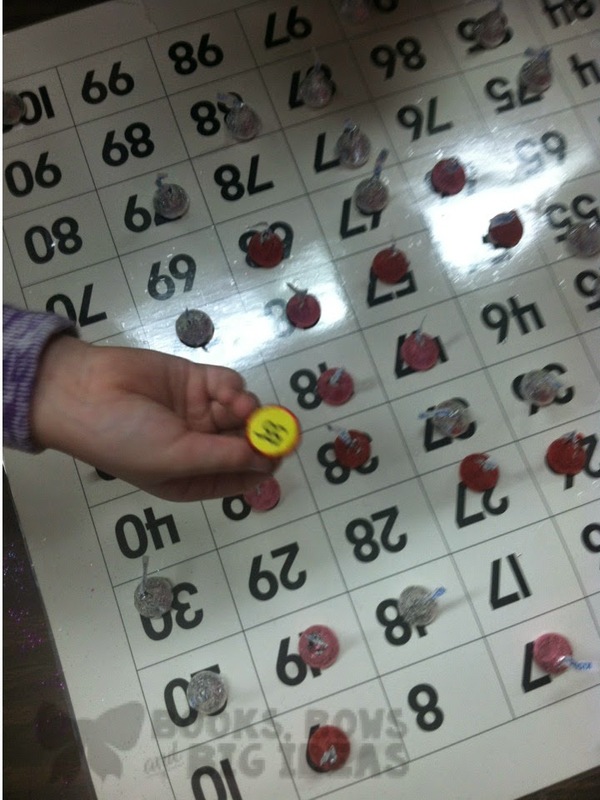 We also do another 100th day hunt, we hide 100 Hershey kisses around the room with numbers on the bottom. 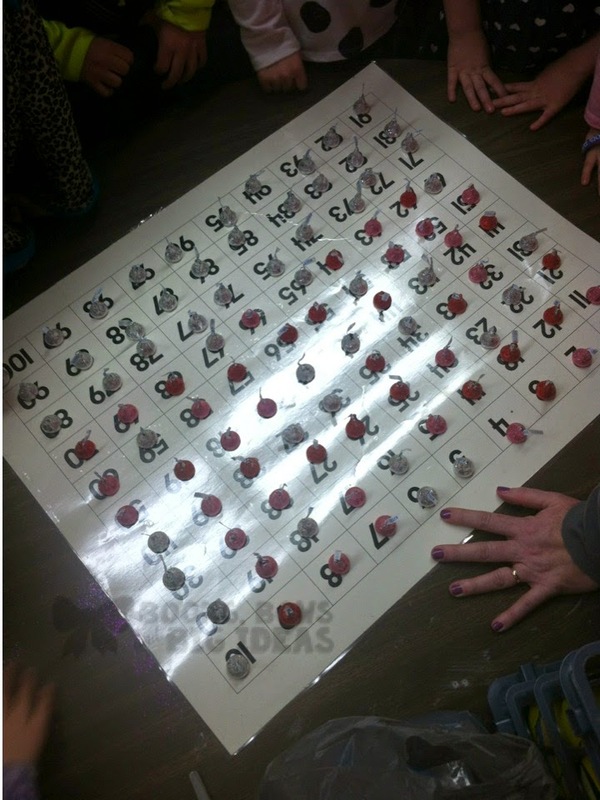 The kids find one at a time and put it on the matching number on a hundred chart. We had a great day! It went so fast, we had so many more activities planned that we never got a chance to do.